We are getting into holiday season in Southern California. Recently, I did some research and would like to share what I found. There are some best museums in Los Angeles that you can visit with your family during holidays. Museum hours may vary, check individual listings for details. Los Angeles, CA 90036323-857-6000Sat 10 a.m. to 7 p.m., Sun 10 a.m. to 7 p.m. Since its inception in 1965, LACMA has been devoted to collecting works of art that span both history and geography, in addition to representing Los Angeles’ uniquely diverse population. Los Angeles , CA 90049310-440-4500Sat 10 a.m. to 5 p.m., Sun 10 a.m. to 5 p.m.
Skirball Cultural Center is dedicated to exploring the connections between 4,000 years of Jewish heritage and the vitality of American democratic ideals. Ronald Reagan Museum Tours – learn about life and presidency of Ronald Reagan. Step inside Air Force One plane. 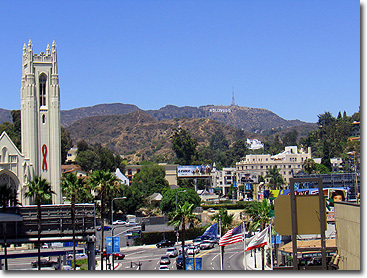 Los Angeles Shore Excursion – 5 to 6 hours sightseeing excursion in Los Angeles. experience local culture. San Diego Tour from Los Angeles – discover birthplace of California on this 9 hour tour. What tours are available from LAX airport? Pickup directly from your LAX airport terminal, return to the terminal or hotel in Los Angeles, Hollywood, Beverly Hills, Santa Monica. * up to 5 people with luggage. Los Angeles: The New Tom Bradley Terminal at LAX official preview tour: Saturday, June 22, 2013, 9 am – 6 pm. ( 90 minutes tour ) Includes new South concourse gate areas, the Great Hall and new restaurants area. The new LAX International Terminal B will be great value for LA international tourists after construction. For the LAX day tour please register here, LAX Airport Appreciation Day Tour. This restroom at The Grove includes best decor design floor ideas and was specifically designed for Hollywood celebrities, stars and the likes. It includes baby changing rooms, kids playground area, restrooms with toilets for small children, little kitchen area with microwave, rest area with couches for patrons visiting the center, shoe shine area, ladies and men’s restrooms. All washrooms maintained by a round-the-clock attendant. If you know any other unique restroom in Los Angeles, Hollywood, Beverly Hills please add location, address, photo in comments. We will keep this post updating to include other best bathrooms. Organized shore excursions and tours for Los Angeles city are available through the Los Angeles Tour office on these cruise voyages. Passengers interested in a tour transportation here should consult American Riviera tours regarding cruise packages from Los Angeles port. April 21 – 25, 2012, Los Angeles Convention Center, 5 000 attendees from the 70 countries will meet to talk about USA travel products and destinations. Produced by US Travel Association. Titanic Historical Society in Springfield and Chicopee, MA hosting Titanic Centennial memorial Unveiling and Dedication. Titanic The Experience in Orlando, FL. Includes 17 gallery tour with more than 400 unique pieces of memorabilia and 100 artifacts recovered from wreck site of Titanic. Titanic Belfast in Titanic Quarter, Northern Ireland. Newly built $160 million world’s largest Titanic visitor experience offers over nine galleries, dark rides with special effects, to explore Titanic history. Titanic Centenary Commemoration, Saturday, April 14 – 90 minute show featuring breathtaking combination of music and documentary, Ulster Orchestra and a massed choir. Come mingle with Founding Fathers during the 20-th Annual President’s Day Celebration at the Ronald Reagan Presidential Library and Museum on February 20 from 10:00 am until 3:00 pm. This LA celebration includes fun for the whole family, including musical entertainment, storytelling, and presidential and first lady look a-likes. Hot dogs, pie and other all-American food will be available for purchase. Presidents’ Day activities are free. Museum admission applies to visit Ronald Reagan Presidential Museum and Air Force One Pavillion. For more information please visit Annual Presidents Day Celebration. Tours to the Ronald Reagan Presidential Library are available. call 1-800-761-1775 or e-mail: info@latraveltours.com.